What is Google TV? That is the question. I guess the best way to sum it up is, “internet for your HDTV, done right.” There hasn’t been too many attempts at merging TV and the web, but the few that there have been, all were failures. i’m sure you remember Microsoft’s MSN TV, and Apple’s more recent Apple TV. Both were not that successful, and that’s an understatement. Today at Google I/O 2010, Google made the big announcement we were all waiting for, Google TV! But a better description of Google TV is a new Android powered television platform that allows viewers to access Internet content on their televisions in addition to traditional broadcast, cable programming, and satellite television. It will come in three forms, an integrated HDTV set made by Sony, a special integrated Blu-Ray player also made by Sony, and a companion set-top box made by computer component maker, Logitech. Google has also partnered up with Dish Network to bring an extra special level of programming, it will enable the viewer to access and record with their Dish Network DVR, all through the Google TV interface. It will all be powered by Intel, and their mobile ATOM processors. Intel has made special chipsets just for the occasion. So it’s basically it’s a computer your getting, en you purchase a Google TV set-top box or Blu-Ray player, or TV. 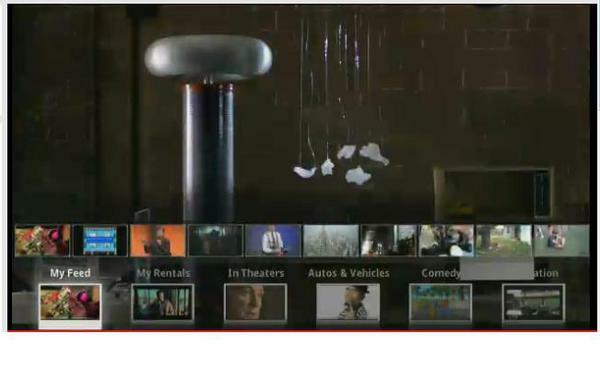 Google claims that their new Google TV platform will help viewers decide what to watch. In world of hundreds of channels, and thousands of shows, Google TV will bring order to all the chaos. But m0re simply, it brings the internet and web surfing to to your couch. Built on top of Google’s Chrome browser, viewers will have full access to the internet, video from YouTube, and even games. The whole experience is run through a Google quick search box, kind of like the one in your Android phone. You enter your search phrase, and you get TV results, web results, and internet video results, all in one, neat place. 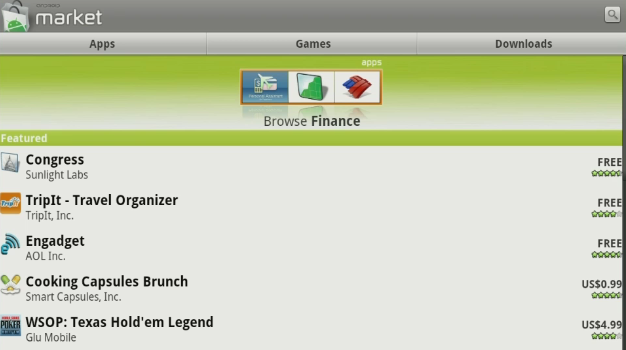 How is this possible, well again Adobe’s Flash plays an important role in the game. 75 percent of all video and games on the web are Flash based. Google product manager Rishi Chandra said, “It turns out on the Internet people use Flash,” and added that “part of being open means you’re inclusive.” With Flash apart of the mix, it enables YouTube to be viewed like it’s supposed to be viewed. Along with the classic YouTube, and YouTube video search, Google has also created a special social network friendly version, called YouTube Lean Back. It’s a custom version that shows and lists video that are especially picked for you, the viewer. It’s a new way to view YouTube subscriptions that you pick and your friends pick. It will also give you access full HD videos on YouTube. So now we have a Google Chrome browser, with a Flash 10.1 plugin, and the final part of the equation is the Android operating system. This is where it gets fun. Google TV will run on Android 2.1, so it will have some juice. Google says it will get an OTA upgrade to Android 2.2 later on. But more importantly, Android is operating system that runs on apps, and Google TV will also be able to run those same apps, plus some other special web apps made for the Google TV platform. Google TV will be able to run apps from the Android Market, that do not require mobile hardware. But it will be up to the developers to start coming up with web and Android apps designed specifically for the TV experience. Also with today’s announcement about the Android Market being accessible on your PC, you will also be able to download apps on your computer, and then send them to your Google TV box to be installed, all wirelessly. 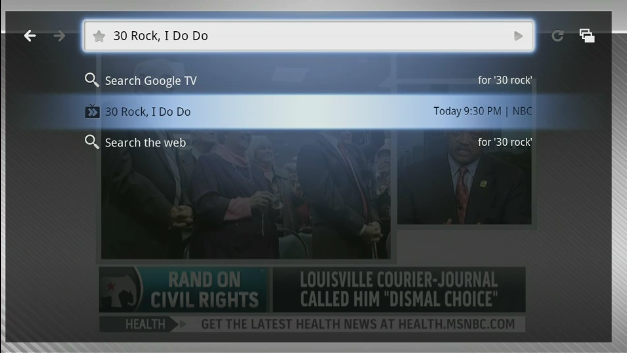 One other feature I thought was cool was that Android phones can be used to control Google TV. It will enable your newer Android phone to turn into a super remote with voice activated search options. You can be viewing a video on YouTube on your Android phone, then seamlessly send it to your Google TV, all over WiFi. Can’t wait for this, well we won’t have to wait to long. In conjunction with Best Buy, Google TV boxes and keyboard and remote packages by Logitech, will be available this fall. Actually I just noticed that Sony HDTV’s with Google TV built in will also be available this fall. Including the Sony Blu-Ray players, all three will be available exclusively at Best Buy store throughout the nation. Google will offer an SDK and the Android Market for Google TV in early 2011, and then it will go open source in the summer of 2011. 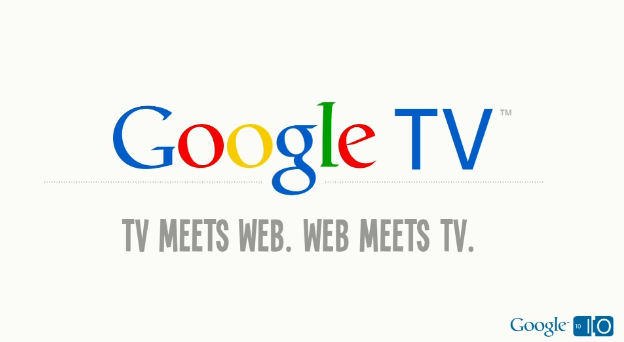 Here is your Google TV intro video…. 3 Responses to Android Powered Google TV is Here! How did you guessed it right ?